Hacking into your customer’s minds and subtly nudging them to perform a certain behavior might sound...not so right, but once you start paying attention- I mean, really paying attention, you will start to notice the little things that push you to purchase the products you do. Let’s travel to your local supermarket and test this out. The ambient music in the background? The impact on your speed, mood and amount you spend has been inscribed in psychology handbooks with much certainty. The store layout and placement of products? All to egg on sales using various psychological triggers. As you can see, these tiny stimulants do not you force you to hand cash over to the stores: what you’re thinking of is called robbery. These tricks and maneuvers simply switch a spotlight on the most valuable emotion or object that the store wants to plead to. If this face asked me for a limb, I'd happily oblige. Make sure your tactics are as strong! All successful salespeople use psychological biases up to a certain extent. And the truth? It works. The psychology of selling is a delicate one, but quite an interesting endeavor in influencing buying decisions- and a very effective one. With small techniques, you can enhance your store’s sales by no small percentage, so let’s get the ball rolling, shall we? 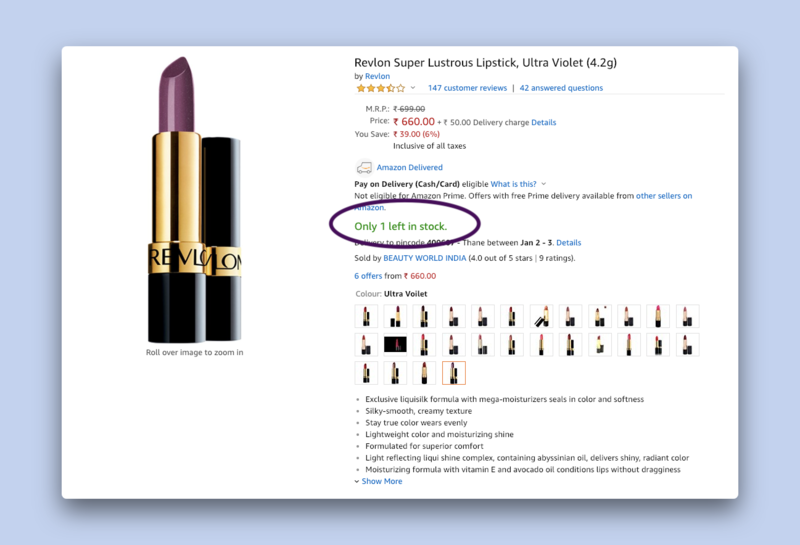 Presenting the most common psychological tricks for ecommerce in brief: ones that you might find employed in your own and competitor stores at large. These are tricks that have been used since time immemorial to create an itch in the customers’ minds. Let’s run through them quickly, and then to proceed to fry the lesser known bigger fish! You’ve heard them, seen them, believed them in numerous contexts. The 1975 study by Stephen Worchel, Jerry Lee and Akanbi Adewole proves that products are rated as far more valuable when the demand for them is raking high. The brain argues that the product must be available in such few quantities owing to the great number of purchases made for this particular product. Limited Stock calls for the need to rush. We often look to other people to provide us reliable information on what is the fashionable, socially acceptable and ‘in’ thing to do: and similarly, when it boils down to buying a product or service, we take cues from our fellow humans. Creating a sense of urgency often means adding limited time offers for discounts, special occasion discounts, guaranteed shipping timeframes for limited purchase periods and so on. Banners and ads proclaim time-based offers based on one single foundation stone: humans are afraid of loss. The sting of a lost opportunity strikes right at right and quite deeply. Along with the obvious ones, abandoned cart emails hollering about last chances or ‘Don’t miss out’ pop-ups about certain products make our brains tick. The hotel has been booked 30 times, and time is running out. All these cue that the room is of value to others. Word of caution: Overdoing it, or creating false urgencies may backfire and cause your brand to lose out on credibility. While you do want customers to estimate you as a popular brand in demand, you do not want to come across as an untrustworthy store, because duh. Okay let’s combine a bunch of psychological biases into this: the Halo effect, conformity and the bandwagon effect. Now, conformity comes in a wide platter of forms, right from the need to adopt a certain lifestyle or purchase a product to be accepted or identify with a certain group to wanting to buy into a certain product or service due to intrinsic rewards. Regardless of the reason, you can utilise these tricks to sell your product, simply by proving the popularity that your product has gained with other customers. You can do so by enlisting the help of testimonials, reviews and ratings. Your customers being your fans is the best case scenario. However, this tactic works best if the testimonial came from a person that your target market looks up to, idolises or relates to. If your store is centred around young African American females, it would hardly make sense for a middle aged white Indian male to tack on a glowing review of your product. You would need to rethink your entire store structure in this case. The most effective social proof for your store would be through a popular influencer on Instagram or a mini-celeb who is loved by their audience. This is because one, these influencers have spent quite some time cultivating a relationship rooted in trust with their followers and two, the halo effect is in action. 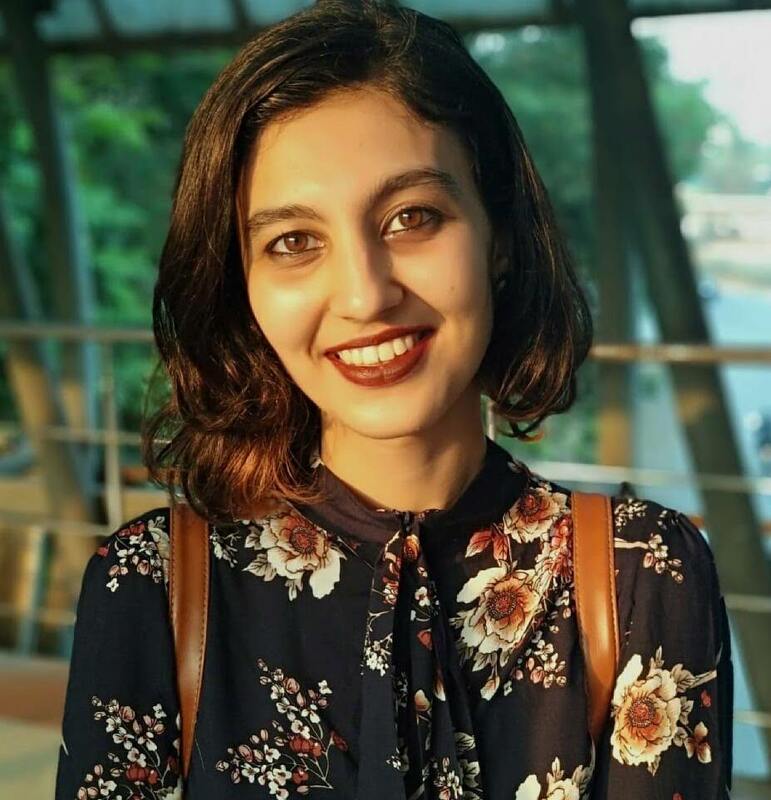 A person that is perceived as good-looking or likable are often associated with other positive personality traits such as honesty or trustworthiness. Which means- people are twice as likely to believe a promotion for your product from their favourite blogger: valid sources, basically. For example, if I told you that this article was validated by the chairman and CEO of Brian Tracy International. you’d probably find it a lot more valuable. To get on this train, check out our complete guide to Influencer Marketing! The bandwagon effect is simply a form of groupthink that pushes people to conform: people want to be on the winning side, and if you can show how your store is the winning side...yep. All digital marketers would unanimously vouch for this sales psychology technique. Imagine a real life sales pitch: it often goes like ‘The usual price for the product is X, but for you, we will sell it for Y’. The X in this situation is the anchor: the customer is relies heavily on this particular piece of information as the starting point. Discounts work and so do options that fall somewhere in between three options: say you create three options, shown to your customer when viewing the product. The first is simply the product: say a jumpsuit valued at $15. The second option is the jumpsuit + a bowtie for $17 and finally, the third choice is the jumpsuit + the bowtie + a pair of socks- for $25. At this point, the second option looks pretty tempting. 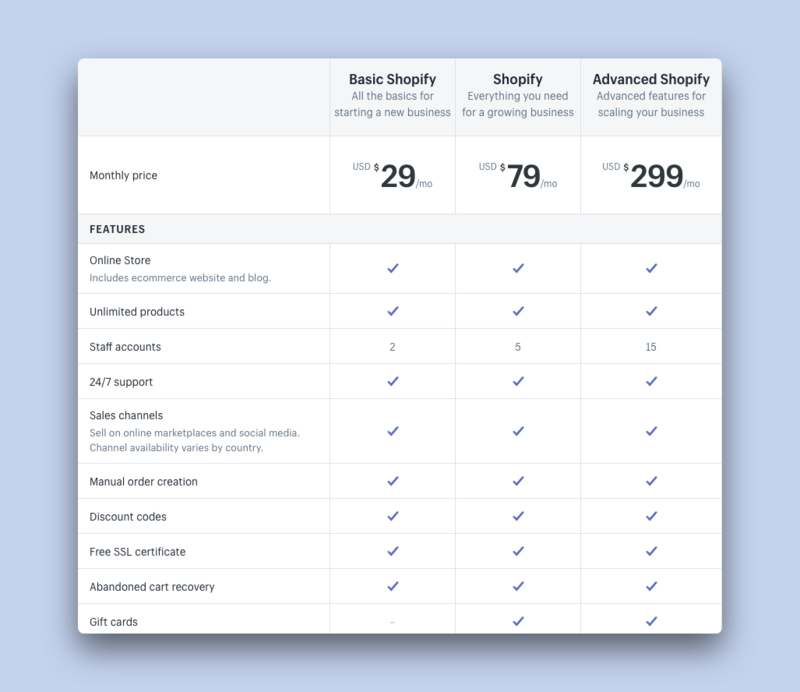 For example, the Advanced Shopify Plan looks far too expensive and the basic one too rudimentary. This makes the second option: the $79 one quite appealing. We always have a soft spot for middle ground. Remember that time when a friend invited you to their birthday bash and you felt a certain obligation to invite them to yours, even when they weren’t that close a friend? Or when you had to send a Christmas card in return to a relative just because they sent one to you? This phenomenon where humans feel the need to return favours is known as the reciprocity principle: give some, get some. Offer your potential customers something for free- such as coupons or blogs. If you are a store targeting young women invested in fashion, you might want to work on your content marketing strategy and write blog posts or make videos that highlight the trends of the season- something like ‘10 outfits that every girl shown own’ would be quite enticing. You can also tag discounts as exclusive to a certain group of customers which bestows special treatment upon them. This pushes them to express gratitude by opting for your product. Give value, whether it is with freebies, offering free shipping or asking for a favour by spinning a wheel. Now, we will grab a peek at all the other biases and quirks people have and how you can plug the right things to maximise your online sales! This one is a run of the mill idea, but we often come across sites that do not use this trick effectively. The isolation effect, as it is also called, points out that people pay greater attention to objects that are starkly different from the rest of the collection. 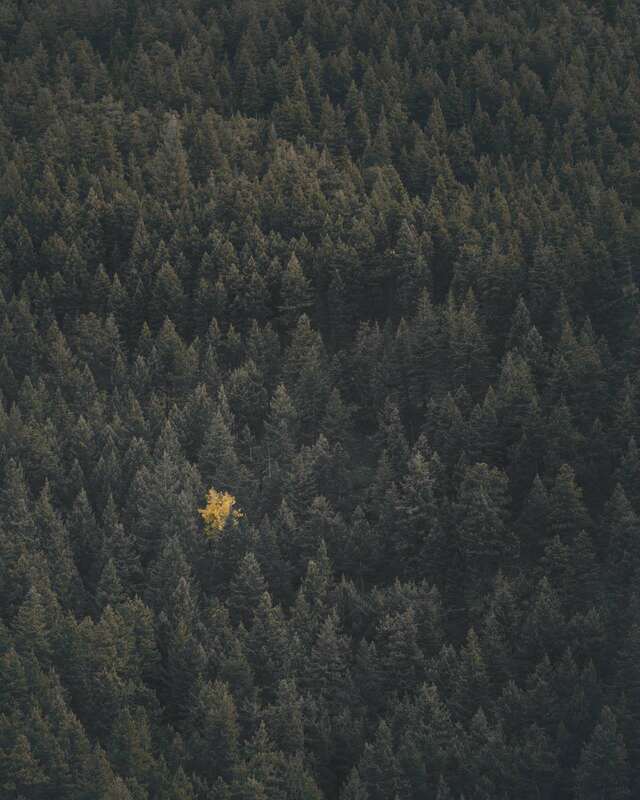 For example, in the image below, which tree catches your eye? If you’re like the rest of us, the yellow immediately grabs attention. That is exactly how your focal points should jump out. This is the design equivalent of the emotion of panic. Fondue and pastel colours: a dream come true. 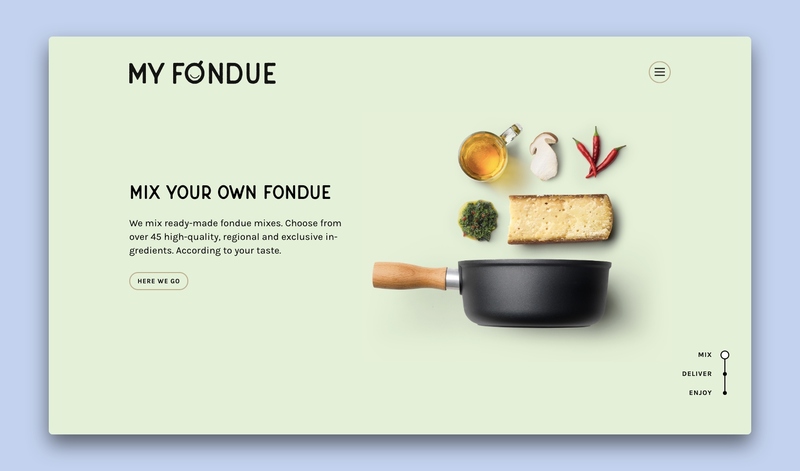 The site is clean and attractive, and draws your attention to the beautiful flatlay of ingredients: the lovely concoction that induces smell and taste and a sensory reaction. And then, we clearly know which step to take if the product is engaging enough- the one single button on the page. Make your CTA stand out with contrasting colours. Keep the site clean with strong images and copy that stand out against the background. Have you ever wondered why Apple relies so heavily on silver, white and black? Doesn’t a sense of innovation and modernity precede the name ‘Apple’? This is an interesting angle to look at your own store. Colours have an unconscious impact on the sales ecommerce websites make, and while colours would not magically transform your store into Adidas, but small drops make an ocean, eh? It has been proven quite repeatedly proven that green or red are the colours to use for check-out buttons: the conversion rate did have significant differences when A/B tested. However, one must wary of external variables that interfere with the findings. But one can definitely delve into research about colour psychology as colours undeniably affect your brand personality: just be careful when jumping to conclusions! Choose colours that go with your overall brand image. If you want to appear sleek and classy, black might be a solution- vibrant and exciting brands might want to opt for red, and so on! More on that here. The colour of your checkout button should be entirely in contrast with the rest of the page: green and red have shown great results. Abstract images might be visually pleasing, but humans intrinsically seek out other humans- as pointers for what is right, what is desirable and what action to take. Use photos of humans in your store imagery, preferably interacting with your product. This allows your customers to visualise and feel the product, albeit vicariously. Additionally, if you want to associate a positive emotion to your brand, you might want to add images of women. Following the Women are wonderful effect, which says that both males and females attach positive traits to women, it makes sense to utilise this finding in your branding. Lastly, draw the viewer’s attention to your CTA or an essential element on the page by using an image of a person whose gaze is directed towards the CTA. Plus, 92% of your brand is made by the visuals and images you use. Use photos or videos with people in them, interacting with your product, if possible. Women are traditionally associated with positive traits more than men are. Use images of women! Babies and animals always work. Place your USP or CTA where the gaze of the people in the image is directed. 1. Ingroup Bias: The tendency to favour members from one’s own group. Be like them! 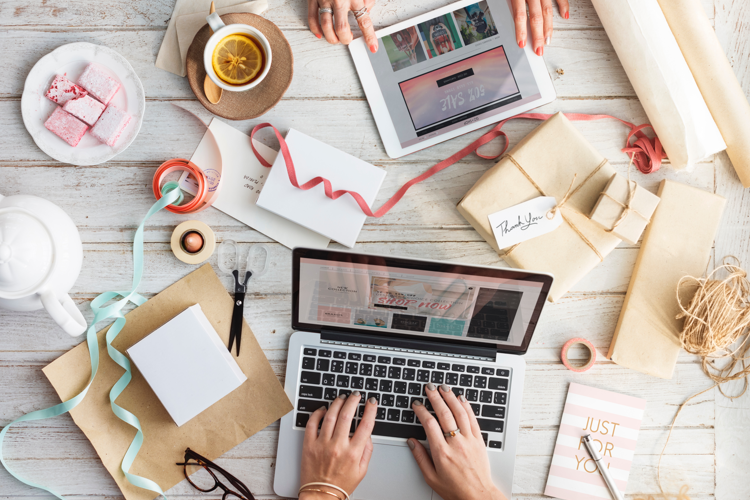 Opposites might attract when it comes to love, but with ecommerce stores, you would benefit by understanding your customers as well as you understand yourself. As a cycling enthusiast, I would much rather trust the recommendations of another cycler than suggestions from someone who has never ridden a cycle. The first step would definitely be choosing a niche that you are invested in, but that is not sufficient: you have to deliver your passion via your branding, through your site and marketing. Instead of appearing pushy, just prove your passion, and sales will be easy. One way to do that is by having an ‘About’ page and a ‘Our Mission’ page. 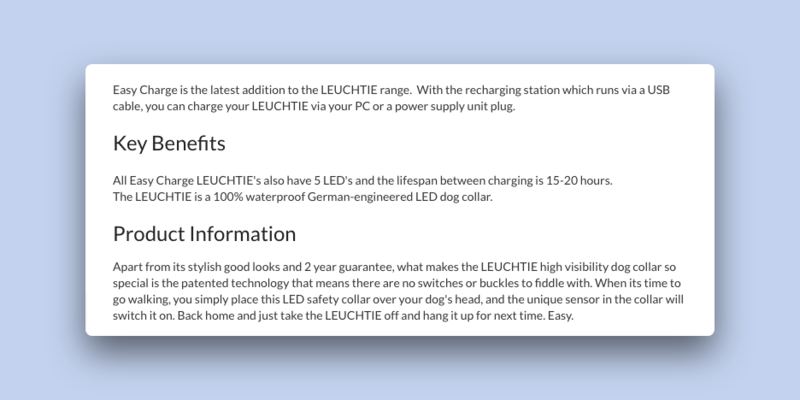 Have product descriptions that are more than bullet points. 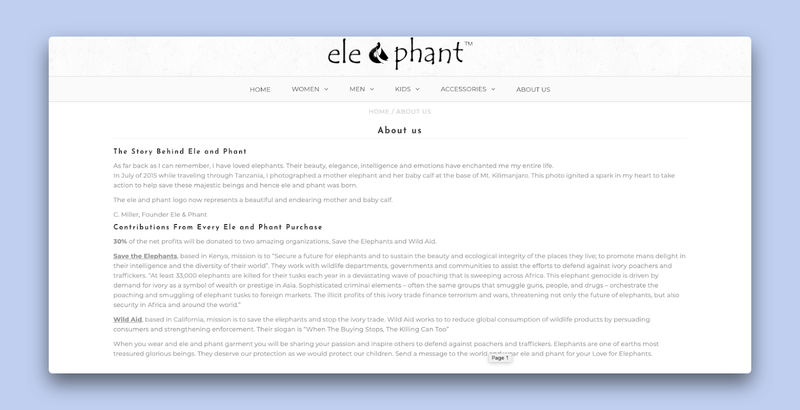 Ele and Phant go into great depth about their love for elephants and how their store is a means to live their dream of saving elephants. Any animal lover would recognize the shop owner as one of their own, and view the store favourably. 2. Rhyme your words: The Rhyme as reason effect says that sentences are judged to be more true when they rhymed. This could be due to people evaluating truthfulness based on the ease with which they can understand it, or because is simply sounds nicer. Language has its quirks, for your store, these are perks! Have a couple, scattered, non-cringey rhyme phrases on your store! 3. 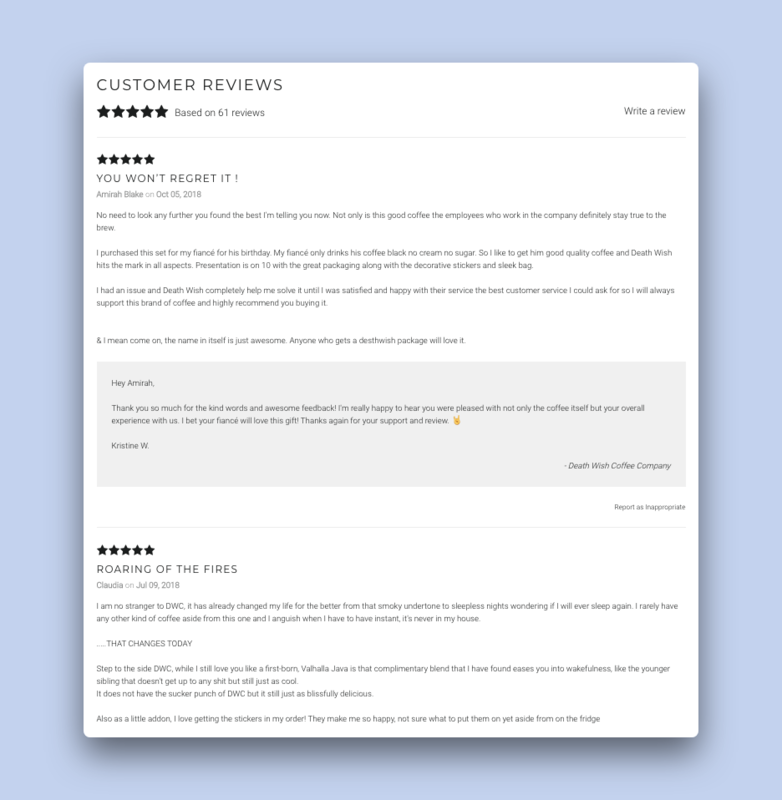 Product Descriptions: This is your chance to speak to your audience directly, but rather than exalt your product’s qualities, call upon an emotional response. No one buys a product solely because it is incredibly inexpensive- people buy because a product appeals to their emotional values. What do your customers value? What are the basic human needs that motivate them to take action? What would the product add to their life? Make sure to drive your product with respect to these points. We will speak about how to address these needs in depth later in the article. 1. The Barnum Effect: Also called Forer effect, it is when individuals give high accuracy ratings to descriptions of their personality that supposedly are tailored specifically to them, that are in fact vague and general enough to apply to a wide range of people. 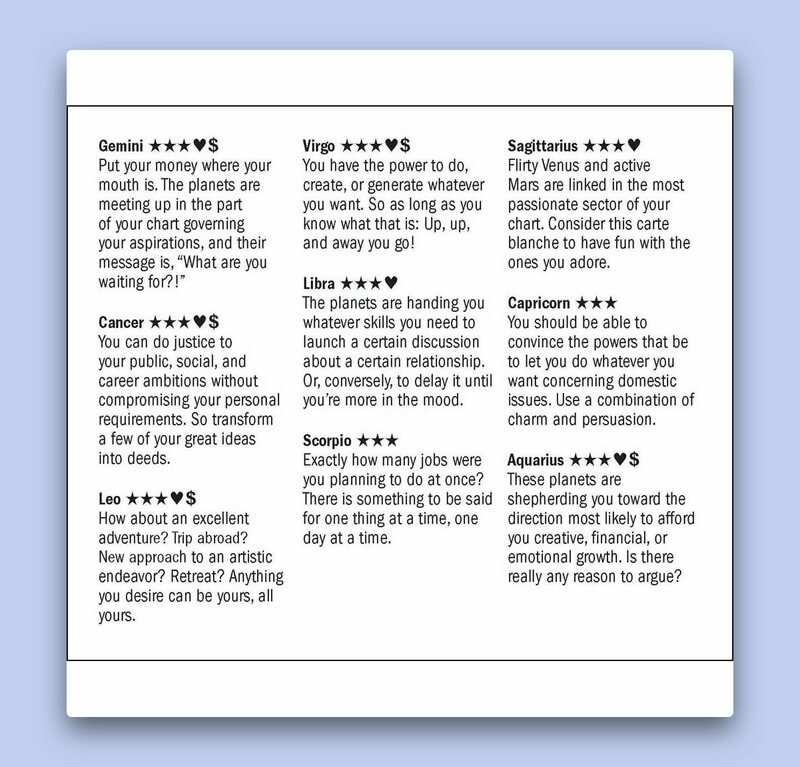 Basically, those newspaper horoscopes that sound so personal? That is the Barnum effect in play. But you can use it in your ecommerce business by speaking to an individual person rather than your entire audience in general. How did they get intel on my relationship? 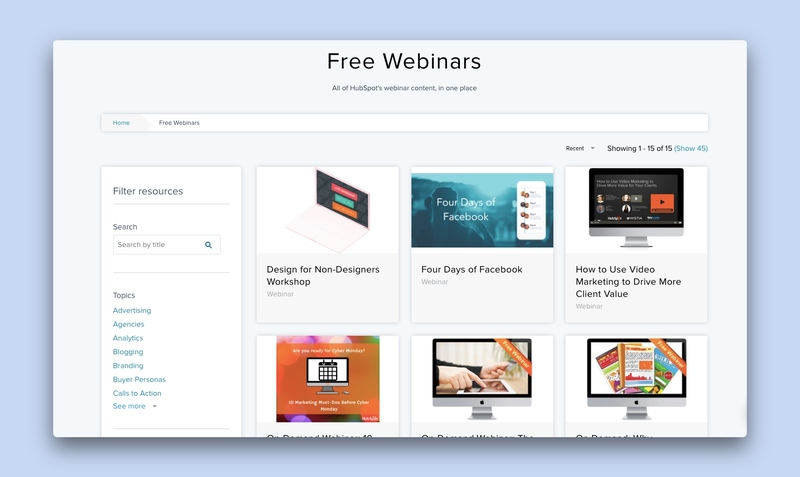 Use those to speak to your audience one-on-one through your ads and your site copy. 2. The IKEA effect: When a customer invests effort into a product, such as IKEA products, which customers construct themselves, he or she places higher value on it. Now, this does not mean you have to make all products on your store Build-your-own sets: but you can definitely have a few customizable products. This will mean that customers themselves are involved in the process of creation, and hence will have a soft spot for the product! Add customisable products to your store. Allow users to add personal notes to their orders. 3. Pseudocertainty effect: The Pseudocertainty effect essentially says that people will make risk-averse choices if they perceive an outcome to be positive, but take risks to avoid negative outcomes. This means, if you market your product highlighting what the customer could potentially face in absence of your product, they are more likely to jump on the opportunity to buy your product, even if it involves a bit of a risk. This correlates to another psychological phenomenon: The Framing Effect. People tend to avoid risk when a positive frame is presented but seek risks when a negative frame is presented. Loss aversion; ie. the tendency to prefer avoiding losses than acquiring equivalent gains is a well-documented ecommerce behavior. This means people would rather not lose a $10 than find an extra $10 on the ground. For example, which product description would drive you to action? Sure, the features are great but no one uses a product because of its convenience. Once you get over the hideous black background and white text, the copy is quite convincing. 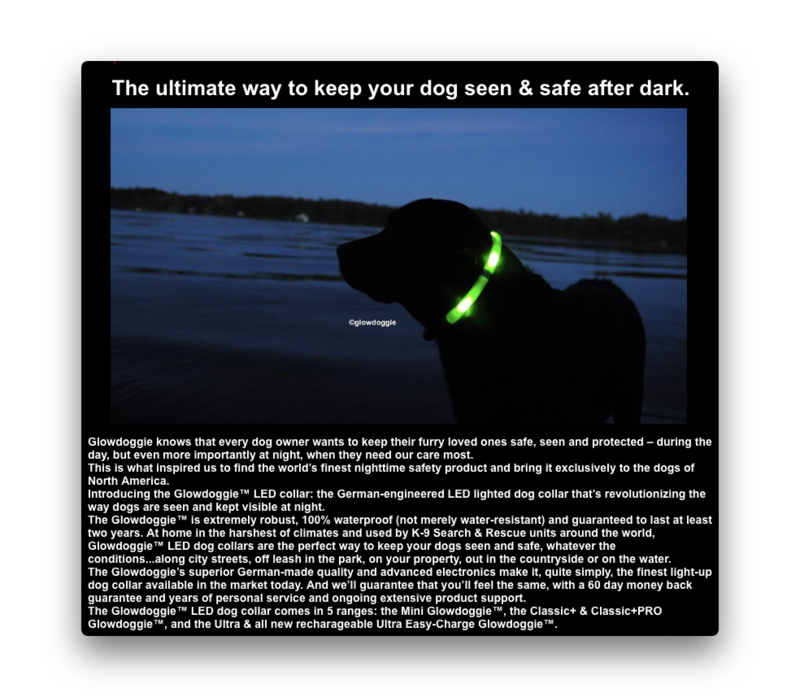 Answer: The one that gives off hints that your dog might not be safe after dark. Conclusively, if you use words such as Save 50%, it would have more effect than offering an extra product or service. Sales professionals often club these two tactics, however, with surprisingly great outcomes. 2 for the price of 1, or 40% discount on a bundle might push for a bigger, fleshier sale. Now, if you’re using positive emotion to close a sale, make sure no shadow of risk crosses it, as that might entirely put off the customer from making a sale or revisiting your store. Make a heavily bold claim: such as a huge bundle or a higher cost for a product- a large request that is most likely to be turned down. Then, make a smaller request- a lower price. This price or offer will seem reasonable in context of the big request, and there is your conversion. This technique is called the Door in the Face technique. 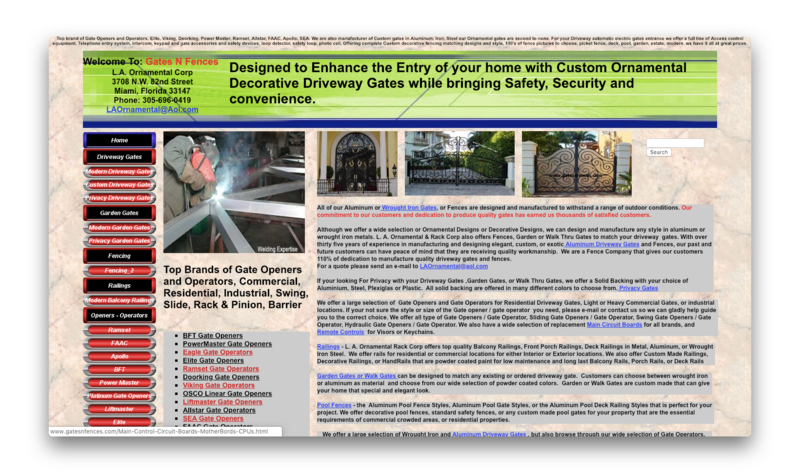 The second technique is the Foot in the Door technique, wherein you insert a small request such as an email ID for the newsletter and then gradually move forward to capture a sale. The foot, for example, the email, establishes the relationship- and the customer then feels obliged to honour the relationship formed by agreeing to a purchase. This is because small favours lead to a self-perception that we are charitable to the store/requester, and we then want to remain consistent with that perception! Use negative emotion to elicit an action from the customer. 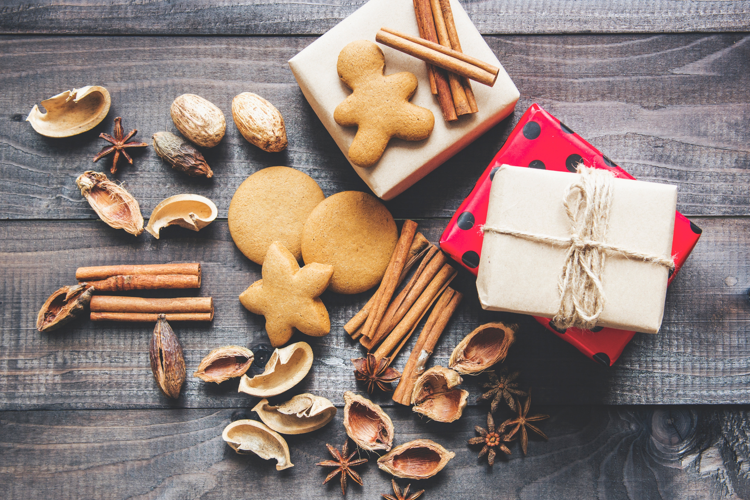 If using positive emotion, make sure to evade any sprinkle of risk on your store. Frame your discounts in terms of ‘saving’ instead of ‘getting’. Your job is not done when a sale has been closed and purchase made. Buyer’s remorse is out for you: which means people are going to wonder if they made the right choice by purchasing the product. This is the time for you to crash in, Superman-style, and allay their fears. Congratulate them for choosing the product, and assure them of the excellent services your company provides. Soothe the remorse and raise the anticipation for your product! Assure them that the product is worth it. Speak to them once they receive the product, and make sure they are satisfied. This pyramid may be a general introduction to what motivates humans, but it can be applied to ecommerce as well. As Jelle Fastenau outlines in his article On the Origin of Shopping: Evolutionary Psychology for eCommerce, the same motivations afflict customers when shopping online. Safety Needs would mean providing the customer assurance that you are a legitimate store and will provide products of value. Showing exclusivity to your loyal customers. Speaking about why you are better than your competitors, indirectly on your site. 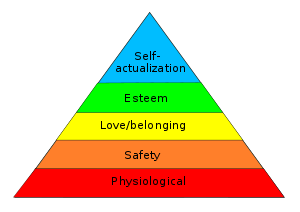 Self-actualization can be accounted for by showing viewers the emotional gain they will make/improve their lives by using your product! Keep the funnel in mind. 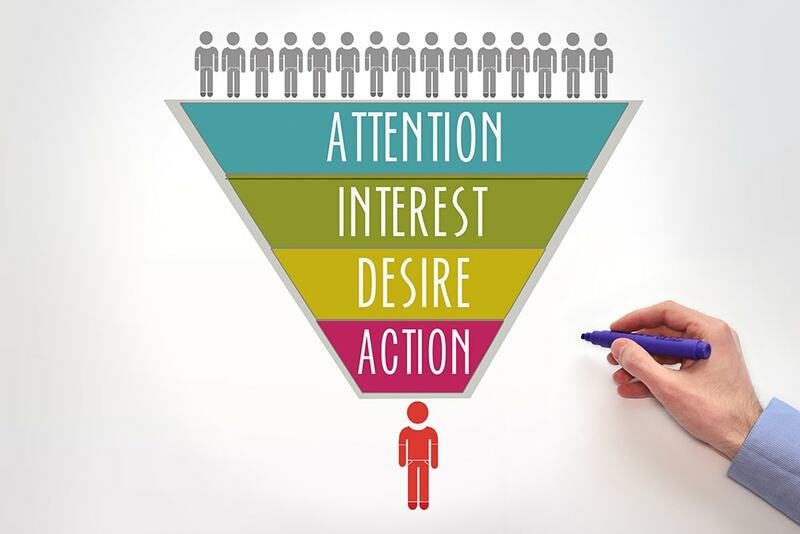 The funnel, from all prospects to the sale. First work on creating Brand Awareness, through ads and social media. Then create Interest, by sending value their way. Third, invoke Desire by showcasing products that are in sync with their interests. And then, finally, the big Call to Action that pushes them to make the purchase. 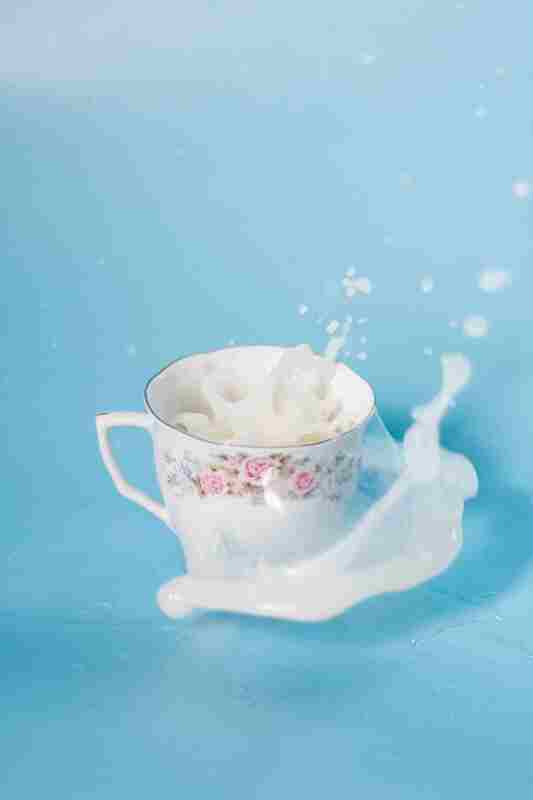 Jumping straight from awareness to action might fudge up your chances! Endowed Progress Effect: If people think they have already made progress towards an achievement, they will out more effort in completing the tasks and reaching the goals. Have a progress bar for the checkout. Send emails showing people that they are a certain percentage away from unlocking a discount coupon. LinkedIn shows you that you have already progressed a bit, just by creating your account. Hyperbolic Discounting: Smaller rewards right now are better than bigger rewards later. Give people discounts or free items on their current order: all your offers should pertain to their order at the moment. Endowment Effect: Once people own something, they value it more than its actual value and are less likely to part with it. Offer Cash on Delivery: Increases reliability plus allows for ownership tendencies to kick in. Banner blindness: Banner-like information is often ignored. Make important information available in two forms: banners on your store, and possibly as text on the checkout page. These were our top 20 tips to optimise your store! Psychology and online marketing are more interconnected that you would believe: these tiny tricks gently elbow the customer towards a sale, and enhance the overall conversion rate of your ecommerce store. Try them out and let us know how they work!